New content marketing research released by the Content Marketing Institute revealed that a vast majority of B2B content marketers are using a content marketing approach to their overall online marketing strategy. The fifth annual study, “2015 B2B Content Marketing Benchmarks, Budgets, and Trends,” surveyed 1,800 B2B marketers from North America during the months of July and August 2014. The survey unraveled some major turning points in the overall trend of content marketing approach, which many businesses can use to compare with their own marketing efforts. 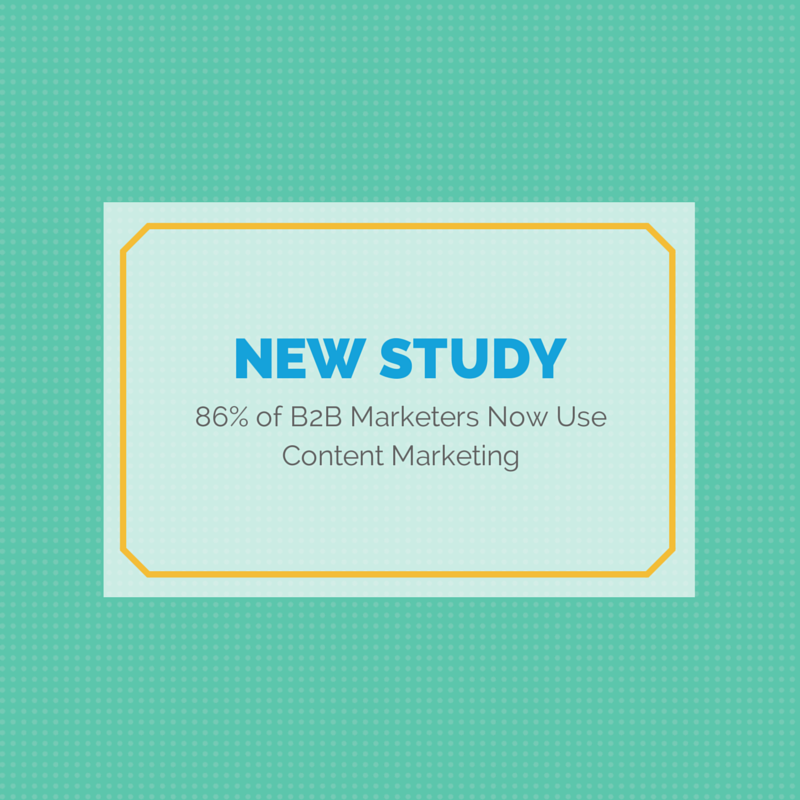 While 83% of B2B marketers claim to utilize content marketing, only 35% have a documented content strategy. It was found that even if marketers have a strategy, they don’t have it written down. If they do, it isn’t followed closely. “We are really starting to find out what makes an effective content marketer – it’s all about documenting the strategy and following it closely,” says Joe Pulizzi, founder of the Content Marketing Institute. Having a documented content marketing strategy pays off. 60% of marketers consider their business or organization to be effective with content marketing, compared to 32% with a verbal strategy. Most marketers are successful with tracking ROI with a documented content marketing strategy. ROI is, of course, is important for all marketers. What the survey found was that 21% of marketers said they are successful with tracking ROI; the number goes up to 25% for marketers who have a documented strategy. Marketers are creating more content marketing than ever. According to the survey, content production continues to increase, no matter how organizations feel towards content marketing and whether they have a documented strategy or not. 70% say they are creating more content than they did one year ago. In addition to that, 55% of marketers plan to increase budgets for content marketing over the next 12 months, even those who say they are least effective at content marketing. 42% of marketers said they post daily or several times per week. Of those with documented content marketing strategies, 23% post everyday. According to the survey, B2B marketers use an average of 13 content marketing tactics. Of those tactics 92% use social media to promote content. Other top content included enewsletters, website articles, and blogs. Take a look at the full report presented by the Content Marketing Institute.